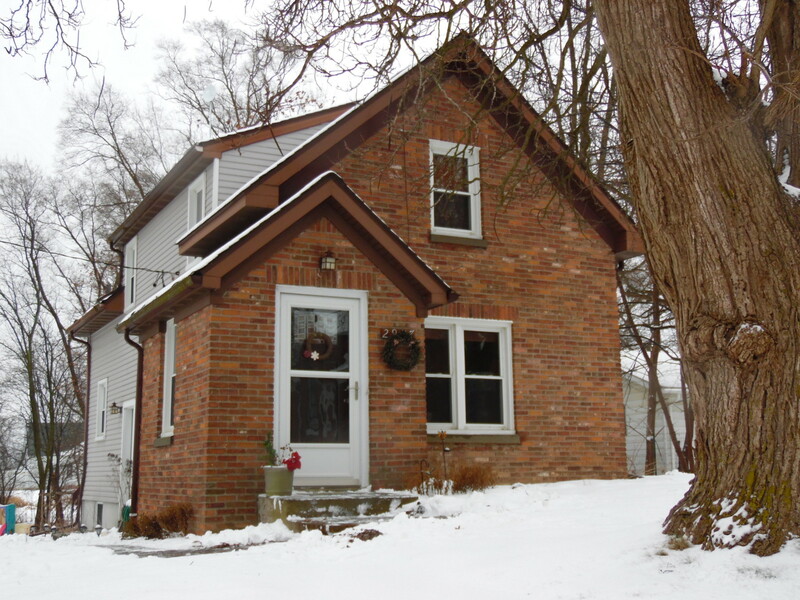 SOLD March 6, 2017 Charming and updated 1930’s 3 bedroom, 1-1/2 bath home. This home has the best of both worlds – out in the country but on a paved road. Updates include totally redone kitchen, main and 1/2 bath, windows are newer, roof over office is updated. New A/C, new front door, new storm door, gleaming hardwood floors in the dining room, family room, up the stairs and in second level. There is a reading room, den/play room and basement has an office area, storage and laundry. Nice private treed backyard with raspberry patch that blooms twice a year. 2-1/2 car garage with electricity and workshop that has a work bench, cabinets and storage.